Picking out the right men’s hiking shoes is a daunting task. Here’s a quick checklist to help you out. Plus, I’ve reviewed the best 3 hiking shoes for men. If you’re mostly hiking among the craggy rocks of high peaks, carrying a heavy backpack for some mountaintop camping, then you’re probably in the wrong place. Head over to the men’s hiking boots section to find some models that will be better able to support your ankles. If, on the other hand, you’re hiking on marked, paved, packed or relatively smooth trails, then hiking shoes are exactly what you’re looking for. And depending on the surface, you can find a variety of men’s hiking shoes with a variety of sole constructions to help cushion and support your feet. Hey! Want to skip right to the reviews? Then click here! The best way to figure out which hiking shoes are right for your needs is to figure out exactly what your needs may be. Try to answer a few of these questions to help you narrow down to a more manageable selection. Where do you go hiking most? What kind of climate does that place fit into? 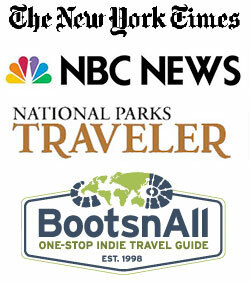 Who far do you hike on each outing? Do you have any physical challenges? If you’re in a wet climate, you’ll need waterproof hiking shoes. If you’re in a cold climate, you probably want a Gore-Tex lining. If you’re in a particularly warm climate, you’ll need super breathable shoes. If you have any physical challenges–like weak ankles, bad backs, flat arches, high insteps, imperfect knees, etc.–then you need to take extra care to find some shoes that will avoid hurting you further. There are even some who can work to reverse certain damages. I personally wear the Salomon Wings Pro Trail-Running shoes, which are awesome in so many ways (don’t worry, we’ll talk more about them a little later on). 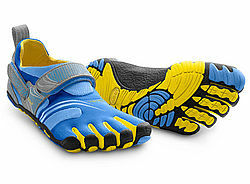 But if I had a really terrible back or some bad knees, I might think about picking up the Vibram FiveFinger shoes, because they’re designed to provide you with a natural stride that works to cure some of your aches and pains. The point is this:get to know your body, your feet, and your personal hiking needs. The more you know about what you’ll need from a pair of men’s hiking shoes, the easier it’ll be to pick out the perfect pair. But, if you’re desperate, in a hurry, or still unsure how to answer those questions we talked about, I’ve got your back. Here’s a peek at three of the absolute best men’s hiking shoes out there. I bet nine out of every ten of you reading this are thinking something along these lines: what the HECK are THOSE?! And you’d be right to ask. These are revolutionary hiking shoes that are as eccentric in their design as they are comfortable and supportive to wear. Because they are so new, I never saw them in Glacier National Park. But now, living in Boulder, CO, they are everywhere! And I mean everywhere! Not just the trails. Just yesterday I saw someone wearing these in Target! People are going nuts for Vibram’s shoes–so much so that I might be about to break down and buy some myself. The point of these shoes is that walking or running barefoot is much better for your body in terms of keeping your back aligned, giving your feet flexing strength, and toning the right muscles in your legs. But walking or running everywhere barefoot isn’t exactly practical–there are too many gross or dangerous things that can stick to your feet or cut up your soles and toes. So Vibram has created these shoes that make it feel as if you’re barefoot, but with a layer of armor surrounding your heels, arches, insteps, and toes. These aren’t the cheapest men’s hiking shoes on the block–at $110, you need to be serious about wanting them–but they are cheaper than a lot of other good hiking shoes, and they’re totally worth every penny. These are machine-washable, quick-lacing, fantastically breathable men’s hiking shoes that will not only help you on your expeditions, but also help you keep your body in tip top shape. You can learn more about the Vibram FiveFingers at REI.com or Backcountry.com. 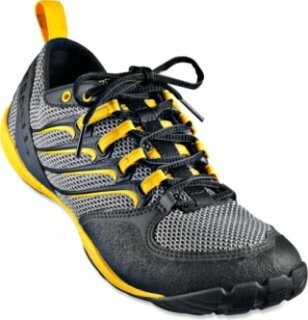 Merrell makes some of the lightest, toughest, and most comfortable shoes out there. Well, I say toughest, but that may be a bit of a misleading adjective. See, they are tough on light trails and in everyday use, but wouldn’t stand up to more rugged mountainside adventures. And that’s probably the only reason I don’t own a pair of these–I want some hiking shoes that can at least approach rugged terrain. You know, they don’t have to get me to the top of Everest or anything, but I’d like them to be able to handle a little bit of difficulty. But if you’re not interested in hiking rough terrain, and you tend to stick to the base camp trails, then these are probably perfect for you. Just like Vibram’s Komodo, these Merrell hiking shoes are made in such a way that it’s as if you aren’t wearing any shoes at all–your feet will work the muscles they do when you’re barefoot. This helps develop necessary, but often under-used, muscles in your feet and legs and also helps you repair back, knee, leg, and ankle damage done by walking in tennis shoes with gigantic soles. Learn more about the Merrell Trail Glove here. I own a pair of the Wings shoes–notice no plural and no 2–and I think that they are the cat’s pajamas. And now we come to my favorite pair of shoes on the market–or at least an updated version of them. 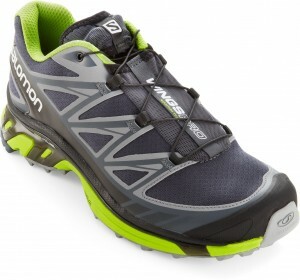 These are the Salomon Wings Pro Trail Running shoes . Seriously, I love them. And I know that you will, too. In my most humble opinion, I believe that Salomonâ€”along with Vasque and New Balance–make some of the best traditional hiking shoes in the world. So, why aren’t those other brands on the list? Well, I consider Merrell and Vibram to be non-traditional, and they win out in terms of comfort, support, and (supposedly) magical healing powers. But Salomon was good enough to stand among these revolutionary models. If you’d rather not feel like you’re walking barefoot on the mountain trail, then put your feet into these. These are some of the most comfortable, secure, and high performance hiking shoes out there. No, they aren’t 100% waterproof, but they do offer unbelievable breathability, unparalleled protection, and the coolest lacing system in the land–they use a bungee cord system to tighten the laces. You don’t have to buy any of these three men’s hiking shoes–I’ll still be your friend if you don’t–but you can’t do too much better them. At least give them a moment’s consideration. You owe your feet that much. Learn more about these awesome men’s hiking shoes here. REI – Always my favorite as they offer a 100% lifetime guarantee. Plus, you get a rebate back with your membership dividend. Backcountry – I just love these guys and will always shop here if REI doesn’t have what I’m looking for. Let’s head on back from men’s hiking shoes to best hiking shoes. 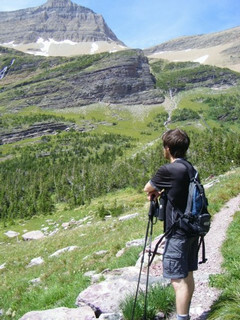 Or you can check out more of my adventures in Glacier National Park.